In an experience that Prince William called “cathartic,” he and Prince Harry spoke candidly about their mother Princess Diana’s death and revealed that their last conversation with her had been a quick one that they often look back on and regret. For an interview due to air on the U.K. network ITV on Monday, July 24, the brothers recounted receiving a phone call from their mother while hanging out at the Queen’s Scottish retreat, Balmoral, with their father, Prince Charles. “At the time Harry and I were running around minding our own business, you know, playing with our cousins and having a very good time,” William, 35, said. “As a kid I never enjoyed speaking to my parents on the phone. And we spent far too much time speaking on the phone rather than speaking to each other, because of the way the situation was. And the phone rang and off he [William] went to go and speak to her sort of for five minutes,” Harry, 32, remembered. “I can’t really necessarily remember what I said, but all I do remember is probably, you know, regretting for the rest of my life how short the phone call was,” Harry recalled. In a preview for Diana, Our Mother: Her Life and Legacy, the Duke of Cambridge also revealed that fun-loving Diana, who died at age 36 in a car accident in Paris in August 1997, had once organized to have supermodels Cindy Crawford, Christy Turlington and Naomi Campbell waiting for him at the top of the stairs when he got home around the age of 13. “There are not many days that go by that I don’t think of her. Her 25th anniversary year feels like a good time to remember all the good things about her and hopefully provide maybe a different side that others haven’t seen before,” William said. August 31 marks the 20th anniversary of Princess Diana’s death. 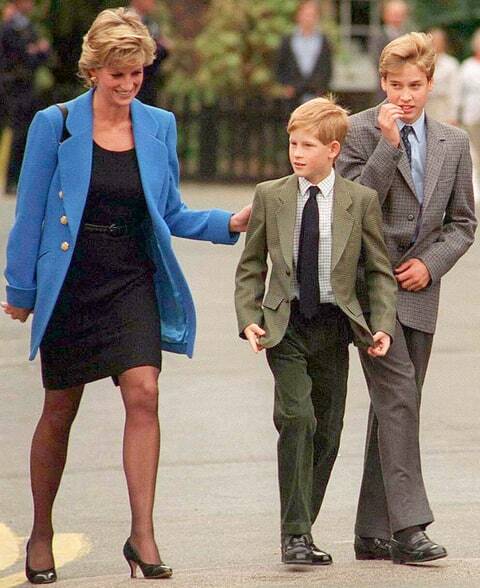 Diana, Our Mother: Her Life and Legacy airs on HBO on Monday, July 24.